EntroPay is a popular method for depositing and withdrawing from online casinos and betting sites. It’s accepted by the most popular Indian friendly UK bookmakers. While their service functions much like an e-wallet, similar to Skrill and PayPal, it has a unique advantage. Thanks to their Virtual Visa card feature, funds stored in an EntroPay account can also be spent online shopping at any internet merchant accepting Visa. Entropay is not our favorite deposit method due to its larger fees than other ewallets. It is a reliable method, but if you are interested in an alternative, we suggest Neteller or Skrill (formerly Moneybookers). Betway offers Entropay deposits as well as depositing using Indian Rupees. Sign up and deposit for a 100% Bonus up to Rs. 2500. In order to use EntroPay you’ll need to first open an account. Simply visit www.entropay.com, click sign up and complete the registration form. For the most part completing this form is entirely intuitive; you simply choose a user name, password, security question, account currency and provide basic personal details. The only question I can imagine someone having is “which currency should I choose?” The options here are USD, EUR and GBP. If you deal frequently in one those currencies, then that currency would be the best choice. In most other cases, I’d suggest GBP, but ultimately selecting any of the options is just fine. 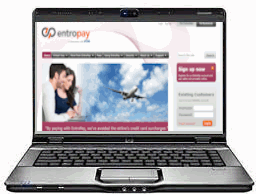 The primary way to load funds to EntroPay account is using your Visa branded debit card. Most banks in India offer these, if you have a savings account at an Indian bank and don’t have a Visa debit card – inquire with you bank as they’re usually available for a very small fee. 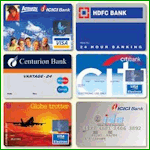 The exceptions I know of where these are not offered are SBI and Citibank India as these two banks issue only Maestro branded cards. Now assuming you have a Visa debit card, there’s one minor hitch – you must register for Verified by Visa. When making your first visa deposit with EntroPay, if your account is not already registered with Verified by Visa, you’ll see “optional” instructions on how to register. While their website does not make this clear, for Indians there is no option about it, if you attempt a transaction without being ‘Verified by Visa’ registered, the transaction will be declined. Now if you’ve registered in the past and have forgotten your password, or don’t see instructions on how to register, Google search a combination of your bank name and Verified by Visa for help. Doing this I found these instructions for my own bank, ICICI. Although I’ve written two paragraphs here on the topic, don’t be intimidated. In most all cases depositing online using your visa debit card is a simple process. If you don’t have a Visa card, and can’t get one from your bank, it is also possible to load your account via wire transfer. This however is a rather expensive and inconvenient option as you’ll need to visit your bank in person as well as pay a wire transfer fee. Once your account is funded, depositing to an online gambling site is simple. Head to their cashier and under deposit options click “EntroPay”. You’ll then need to enter your EntroPay Virtual Visa Number as well as its CVV and expiration date, plus the amount you wish to deposit. If you don’t have your card number handy, log-in to the EntroPay website, and then on the top menu click the tab that reads “EntroPay Cards” and you’ll find that info. The majority of online gambling sites will only issue withdrawals to users who previously deposited via EntroPay. If you’ve used this method to deposit, you can also use it to withdrawal and the instructions are pretty much the same as the deposit instructions I’ve included above. After cashing out from an online bookmaker you can have the funds sent to your personal bank account. To do this log into their website, click the “EntroPay Card” tab on the top menu and then select the EntroPay Card you wish to transfer funds from. Next click ‘Transfer Funds’, enter the withdrawal amount and click ‘New Bank Account’ – now enter your bank account details and click ‘Next’. Note: As an alternative you can also spend money online using your EntroPay Virtual Visa at any internet merchant accepting Visa. One item that I’ve already covered, but I’ll state it here again, when loading funds to EntroPay via a debit card Visa your Indian bank has issued you – the transactions will only be approved if you complete the Verified by Visa process. I’ll cover a few other areas of concern here. A clear copy of your Passport, Photographic Drivers Licence or I.D. Card (both sides). A clear copy of both sides of all funding sources registered on your account. A clear copy of a recent utility bill, on which your name and address are clearly visible. The name of the merchant at which you intend to spend. To address each item: Item #1 and #2 are simple. Scan a copy of your ID and debit card. You can use photoshop to remove the 7th and 8th digit from your credit card, as well as to remove the CVV (this is acceptable to EntroPay and also provides you added security). As far as utility bill goes, a bill from you Television Company, or Internet Company is acceptable as is a power bill, or water bill. This MUST show your name. If it doesn’t you’re going to need to get it changed to your name. Seriously, if you gamble online make sure at least one of your home utilities is in your name because this is a common thing gambling sites ask for during verification. You’ll need this at EntroPay and probably need it again at other e-wallets and online bookmakers. As far as “merchant which you intend to spend with” – there is no reason to stress here. I see this question asked on Asian Bookie all the time, does it matter if I say a gambling site? Be honest with them about where you intend to spend the money – EntroPay has no qualms about Indians using their service for gambling transactions. From my experience after sending in the documents the temporary restriction is lifted quickly (generally hours). This is entirely routine and random account verification process and nothing to worry about. The most common EntroPay complaints revolve around their high fees. Funding your account incurs a 4.95% fee and sending money from EntroPay back to your bank account incurs a 1.95% fee. These fees are all certainly higher than other e-wallets. If you’re looking to save on fees, I strongly suggest using Skrill or NETELLER to deposit and withdrawal to online bookmakers. Both these two suggested e-wallets offer accounts in Indian Rupee, if then deposit at bookmaker that accept Rupees as well, such as Betway, you’ll save greatly on fees. This is due to the same regulations that made PayPal difficult for Indians to use, and also caused NETELLER to stop issuing NETELLER Plus Cards. The good news however is Indians can still use the Virtual Visa cards, and can still use this as a banking option to deposit and withdrawal from online gambling sites. Is EntroPay Legit – Is it Safe and Secure? : One of the most common questions to come up on forums is how legitimate EntroPay is, and – what are the risks? In our opinion EntroPay is one the most reputable brands around. Their parent company has been offering online payment solutions since 2000, and the entropay.com service has been available since 2003. They’re also highly regulated due to both their association with Visa, and the fact that they are licensed by the UK’s Financial Services Authority (FSA). This is a legitimate e-wallet and all their security practices exceed industry standards.